Choose the Corn/wheat blanket, Dirt/pea blanket, Winter Wheat Green, or Snow blanket. These Ghillie Blankets are some of the best camouflage going. Lightweight, Compact, and super Low Profile! 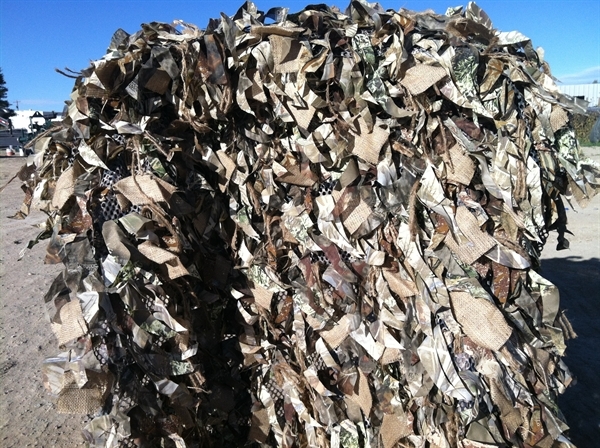 The Ghillie Blankets have Burlap and Jute weaved into the patterns for extra definition and great Camo. All Blankets are approx. 4.5 feet by 8 feet. (1)Corn/wheat blanket for barley, corn, wheat, or dead grass. 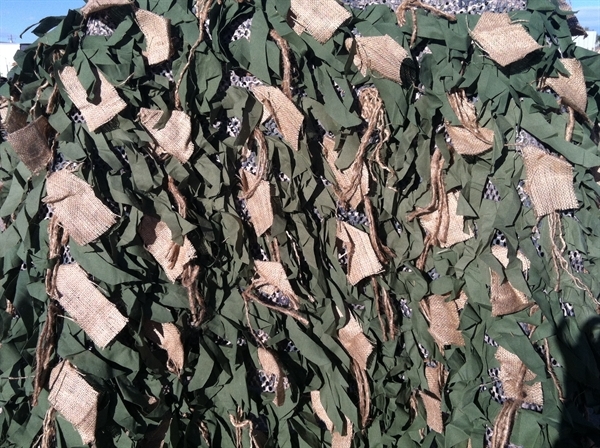 (2)Dirt/pea blanket for dark field like peas, lentils or plowed...mud up for even better concealment. 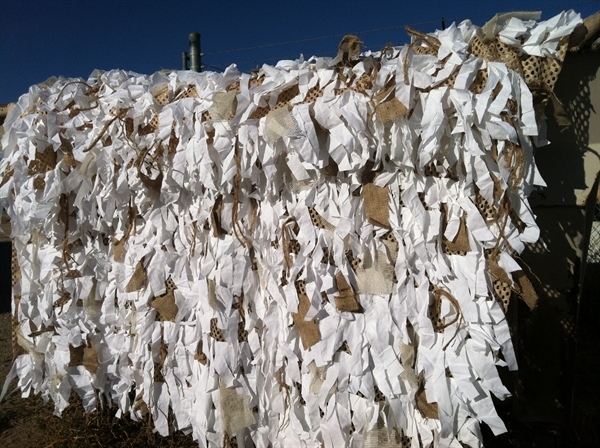 (4) Snow blanket (White ghillie material with a yellow corn colored backing) Can be bleached or sprayed with "Kilz" primer if you want them whiter. These blankets are lightweight, compact, and super low profile. Perfect for field layout hunting of wary ducks and geese. Just lay down and pull over the top of you. . Great to cover your gear, your dog, or yourself. Cut out eye holes if you like or wear a facemask and look over the top. 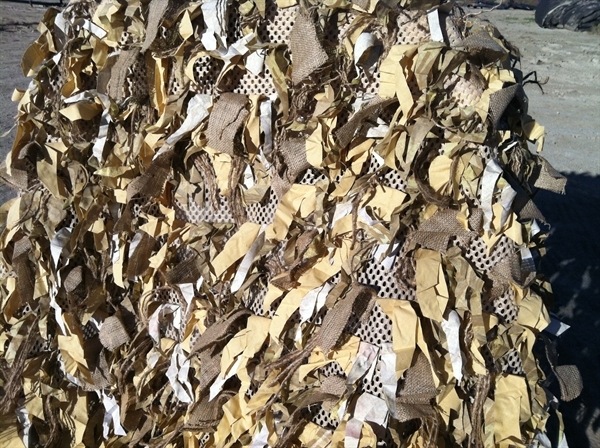 Other Ghillie Gear accessories include Duckbill Facemasks, Ghillie Jackets, Ghillie Pants and 18' Ghillie Blind Covers! **SALE** Normally $120ea. ON Sale for $99.95ea.